How much will a design for my new garden cost? This is understandably the question upper most in peoples minds. A design fee varies in line with the size of the garden and the complexity of the requirements. But generally a total fee for a complete design service will fall somewhere within a 5 -12% range of total project costs (see below for total costs guide). 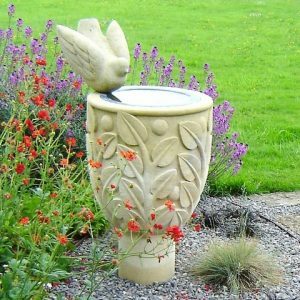 For smaller gardens we can work on a fixed fee basis agreed at the start of the project. Also we can use a fixed fee for an area within an existing space, or for a planting plan. What about working out total costs for the project? 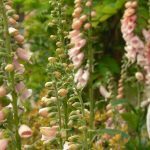 Total project costs, including construction and planting depends on a number of factors – the size of the garden, the complexity of required works, the size of plants, choice of materials and so on. 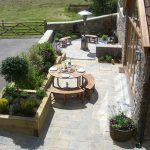 For a realistic idea of budget, you can reckon on investing about 4% upwards of your current house value into a good quality development of your garden. However this is just to give a general guide when thinking about budget. 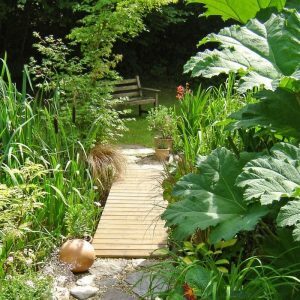 Because each garden is unique and you may have a particular project in mind, please do get in touch with us to discuss costs. Costs for design and construction are discussed at our first meeting. This is followed by a written estimate for the design element prior to the start of a contract for design. 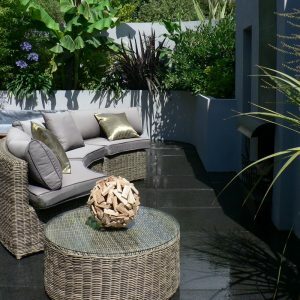 At design concept stage we can obtain a contractor estimate and start to think about booking your chosen contractor in advance of a start date depending on how soon you want to have your garden project completed.